The adjective ‘heroic’ has, of course, been used before in the world of wine, namely to describe the efforts of vignerons and winemakers that work in steep, precipitous places inhospitable to man. Malta may not qualify as a mountainous island. But what else would you call local winegrowing if not audacious, brave and courageous? In view of the archipelago’s rich and challenging history marked by foreign invaders, one wonders how viticulture and wine have managed to survive. It was difficult for the vine to continue to exist when abstinent Arabs took over from Roman rulers, in the disease-ridden Middle Ages when cultivated land was left abandoned – during the disruptive period caused by Napoleon’s troops and the onslaught of World War II – and for long when British sovereigns favoured cotton cultivation. However, making wine is a Maltese legacy which continues against all odds to this day. Instead of being orographically challenged, local winegrowing faces a constant uphill struggle and flat-out challenges on several other fronts. One just has to look down on Malta from the air to realise that the patchwork of fields sited in constricted rift valleys delimited by a jutted coastline is rather inaccessible and tough to cultivate. An inherent problem is land fragmentation and owner diversity. Many plots are not privately owned but part of an archaic land-leasing scheme unfavourable to establishing new vineyards. Yet valiant farmers stubbornly persist: they clear poor rocky soils, stone by stone, and go on growing more vines on narrow terraces which are on average smaller in size than half a football field. Whereas cuttings of international grape varieties come ready-made to plant from nurseries, raising new Girgentina and Ġellewża vines has to be done from scratch. First rootlings of the Paulsen 1103 rootstock are put in the ground and a year later painstakingly grafted one by one to the white or red fruiting vinifera variety. With no natural water sources or streams and only pint-sized annual precipitation, the water stress on the vines is high, especially on the two native cultivars, which diminishes yields. Girgentina and Ġellewża were traditionally planted in shallow top soils too barren for any other crop to grow. Many vineyards planted to these old vines are still dry-farmed and trained in the traditional bush method by the snip of the secateur. The lie of the land dismisses as good as any form of mechanisation. In fact, the Maltese grape-to-wine craft is best described as a labour-intensive operation, a work of love that defies scales of economies. Pruning, weeding, pest and disease control and, finally, harvesting are commonly done by hand. All grapes are picked manually bunch by bunch, which is rewarding but wearisome work. So as to prevent soil erosion, vineyards are tucked away behind hundreds of kilometres of rubble walls that demand laborious attention, just like the vines. Maltese and Gozitan vignerons not only need to be conversed in viticulture but also dry-wall building, an art requiring artistic skill and a sensual understanding indescribable in firm rules of physics. 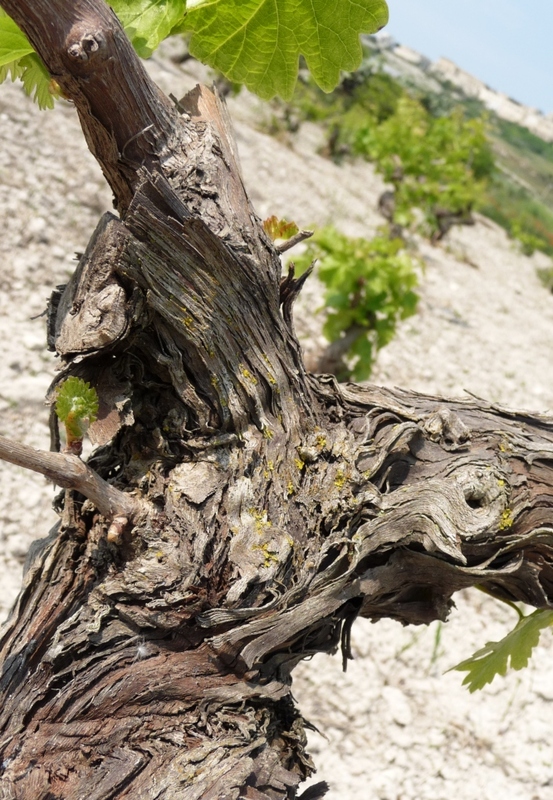 There are plenty more reasons but it is clear that vineyard upkeep and modern winemaking in Malta remains an extremely challenging enterprise. Remarkably, there is renewed enthusiasm as there are also noticeable improvements in our vineyards and cellars. Surely, growing grapes in tiny vineyards that are among the smallest in the world and creating authentic quality wines here – in the middle of the Mediterranean Sea pretty cut-off from easy supplies from the mainland – must qualify as heroic, too. To share in the joys of uncorking a quality wine from Malta is to drink the fruit of the land grown by unsung heroes: it is to taste bottled heroism. This article by Georges Meekers appeared first in the Times of Malta, 24 February 2017.